Generalisations and stereotypical labelling can be the bane of a teacher’s life. I can guarantee that any teacher reading this blog will be able to recall expressions used about children that whilst having no evidence base have become part of the folklore of education. I can personally recall many of these, some of which I found particularly irksome – “gypsy traveller children always have poor school attendance records,” – “boys with ADHD are always going to be trouble in class.” I’m sure that you could add your own equally irritating examples to these. The saddest feature of such expressions is that they can become self-fulfilling prophecies when teachers or others begin to believe them and adjust their expectations accordingly. Recently, my good friend Savitha Ravi an outstanding school principal from Bangalore sent me a link to a video recording (see below) which reminded me of a number of occasions when I was a head teacher and parents would tell me of the predictions made about their children. A typical example can be related from the parents of one of my former pupils, a young lady with Down’s syndrome, whom I often meet in the local town. They recall how when she was just two years old they were told by a senior medical officer that their daughter would probably never talk, and that she would most certainly need an intensive level of care for the rest of her life. Having been given this professional information they went home and prepared to adjust their lives to ensure that the necessary high levels of provision would be in place for the remainder of their daughter’s years. Looking back on this these highly committed parents are now able to smile and reflect on how they, and their daughter have proven the professionals to be wrong. Their daughter is now married, has successfully managed a job and lives a largely independent life with her husband (about whom similar predictions were made) about a hundred miles from her parents. When discussing this situation they recall the many stresses that they have experienced as parents and particularly those which they feel were caused by well-meaning but sometimes ill-informed professionals. The story of these parents is not so different from many others whom I have known and who often use the expression “we were told that…” in recalling their experiences. “We were told that he would never walk,” – “we were told that children like Dean are impossible to toilet train.” Some of you will have heard similar tales beginning with the expression “we were told…” without a doubt. 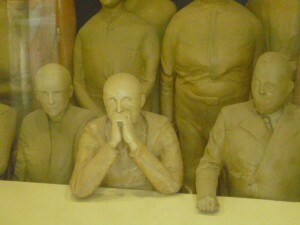 Whilst I am not being critical of my professional colleagues who may have used such expressions in the past, after all they are probably basing their predictions upon many years of experience, I am concerned that the potential for lowering expectations can have a detrimental impact upon the education of children. It takes a confident and determined parent to confront such a diagnosis and to defy the wisdom of the professional or challenge their assertions. One such parent Kristine Barnett is portrayed in the video clip forwarded to me by Savitha. Kristine is the mother of Jacob who at an early age was diagnosed as being on the autism spectrum. When Jacob was still an infant she was told that her son might never be able to speak and might never be able to tie his shoelaces. She describes how when she was given this prognosis she was “completely devastated” and that it was “pretty scary.” She recalls that when told these things “I believed them. They were my doctors and therapists and people that we trusted.” During the interview seen in the video she never challenges the professionalism of any of the medics or teachers with whom she dealt, but what she does demonstrate is a confidence in her personal intuition as a parent and her profound belief in her right to choose a path for Jacob. Kristine describes the decisions she made to take Jacob away from the specialist schooling that was being provided for him and to give him opportunities alongside “typically developing” children. She goes on to tell a tale of her son flourishing and revealing an extraordinary gift for scientific thinking, and an ability to learn abstract concepts and apply these in ways that other much older individuals never manage. Jacob, at the age of fifteen, is working alongside well established scientists in Toronto and has demonstrated the potential to become a leading physicist and researcher. In the video we see that he is an engaging young man who is certainly articulate and very focused upon his scientific studies. I must confess that when he talks about quantum physics he leaves me well behind in terms of my understanding. At the end of the interview Jacob tries to reassure listeners that mathematics and science is really quite simple and that “anyone can do it.” He certainly demonstrates a belief in himself that is much greater than many predicted for him. I am not, of course suggesting that every child given a diagnosis of autism is a potential genius. What does concern me is that for so many parents expectations are lowered at a very early stage of their child’s development. Professionals do have to err on the side of caution and we should accept that raising false expectations may be as damaging as predicting low attainment. However, it takes an exceptionally strong parent like Kristine to challenge the authority of the professionals and to provide an alternative view of the world for their child with special educational needs. The video (to which there is a link below) provides a much better analysis of the challenges faced by Kristine and the accomplishments of Jacob than I could possibly achieve in this short blog. Sadly, I have no doubt that I will continue to hear parents using the expression “we were told…” but hopefully I will also find more who have chosen to raise their own expectations and prove the professionals wrong. An old, old story makes the news! 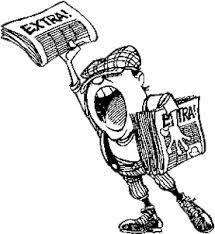 Headline news – read all about it. Girl found to be ineducable!!! I really did think that after three days of discussing issues of labelling on this blog there might be little more on this topic to discuss. That was until a colleague drew my attention to an article from today’s copy of the Belfast Telegraph from Northern Ireland. The banner headline above this particular feature shouts from the paper “Girl ‘excluded from education’ because schools can’t cater for her autism and dyspraxia”. Now I have long been wary of reporting in newspapers, having been misquoted on a couple of occasions myself, but nonetheless I felt obliged to read the article that my colleague had taken the effort to find. Sadly, what we have here is a traditional stand-off in which each party apportions blame to the other and therefore nothing gets resolved. In these situations I find it hard to believe that the education authorities and schools would not wish to see this state of affairs rectified and ensure that Kirstie gets the education she needs. Similarly, I understand that this is a mother and daughter under stress who need assurance that any provision made is going to be appropriate to Kirstie’s needs. They have clearly lost all faith in the education system and appear equally intransigent in their position. With a failure to compromise it looks as if this situation is destined to persist. There is an interesting factor within this article that may be significant in understanding some of the issues. The reporter states that Kirstie had a late diagnosis of autism at the age of 13 years. She appears to have progressed through her primary schooling uninterrupted, though not without some problems from bullying. It appears that difficulties of accommodating Kirstie began only after her diagnosis. This sent me wondering. Part of the discussion we have had about labelling has been centred around the notion that once a child receives an “official diagnosis”, this may make it easier for schools to understand individual needs and also to provide appropriate support. Clearly in Kirstie’s situation this has not proven to be the case. Can it be that the allocation of a label can have the opposite effect of that which has been suggested as beneficial by some during recent discussions on this blog? Might it be that it all depends on the label given? I suspect that different labels have a different effect upon the ways in which teachers and other professionals anticipate working with children, though I admit that I am probably generalising here for effect. 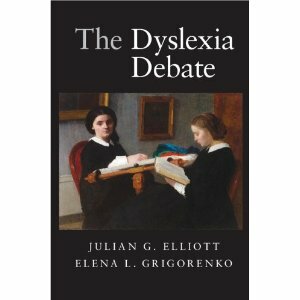 If a child is diagnosed as dyslexic, this may well be seen as manageable, after all most teachers feel quite confident about teaching reading and literacy skills (I know there is more to dyslexia than this) and may feel that with a little modification to their teaching they will cope. A little more challenge might come with a label such as physical disability which may mean changing the learning environment, and possibly some additional skills required around how to handle a child or assist with mobility issues. But then most children with a physical disability have few problems with conventional teaching and learning approaches, so maybe this is another “soft label”. Once we start applying labels such as autism spectrum disorder, social, emotional and behavioural difficulty, or attention deficit hyperactivity disorder we start to enter a different domain. Here we can often detect panic setting in. These are no longer “soft labels” but for many teachers they appear to come with the kind of health warning we associate with packets of cigarettes – handling these kids can seriously damage your health! Perhaps I am being facetious, or maybe just provocative. I suspect that the newspaper was adopting a similar approach in reporting this story. But on a serious note, here we have, for whatever reason, a young lady who has missed substantial educational opportunities for a prolonged period. This is not a matter for finding culprits, but it is certainly a situation in which there is at least one, and possibly several victims. Labelling Kirstie seems to have brought her nothing but grief. The way in which the newspaper is generalising labels such as dyspraxia and autism is also problematic, as it conveys a message that children with these labels are going to cause difficulties. I like to think that the newspaper article will result in a positive outcome, with a local school offering Kirstie a place on the grounds that they see her as Kirstie and not as a label. Maybe that is too optimistic and the danger is that the demonising of this teenager and the “conditions” with which she is now associated will make her even less of an attractive proposition for local schools. Ah well, I live in hope. Excuse me sir, do you have teaching difficulties? Another unimaginative committee making no impact upon progress towards inclusive teaching approaches! I’m not good at committees. Well, perhaps I should rephrase that. I’ve become increasingly intolerant of meetings where a group of people sit around discussing undoubtedly important matters, complaining about problems but lacking any creativity or innovative thinking that might bring about change. Maybe it’s because I’m getting older, but I find these days that the same well-rehearsed issues keep cropping up and receive the same hand wringing responses that I heard ten years ago. Let me give you an example and in so doing attempt to move forward on the issues of labelling that I have presented, and others have kindly responded to over recent days. I was recently in a meeting with a group of well-respected colleagues, many of whom I have worked with for several years. The focus of the discussion was on future post-graduate course development, the recruitment of teachers on to these courses and the allocation of tutors. The conversation arrived at a point where the need to update a long established course aimed at teaching children with learning difficulties was being debated. At this point I made a suggestion that I didn’t think too radical, but which certainly left me as a minority (of one) in the meeting. Rather than advertising a course for teachers to address children’s learning difficulties, why not turn this on its head and promote a course about helping to overcome teachers’ teaching difficulties? After the chair of the meeting picked himself up off the floor and others had ceased their performances of eyebrow gymnastics signalling their disbelief in my naivety, I felt the need to qualify my comments. “I don’t see that the problem is with the learner, but rather with the teacher”, I began. “I am not blaming teachers for the difficulties that some pupils experience in learning, but rather feel that if we can help teachers to investigate the ways in which they teach we may have greater impact on the quality of teaching and learning.” Various members of the committee re-assured me that they felt I still had much to contribute to the debate, but that there was a need to respond to “market demands”, which indicates that teachers still want courses to help them teach children with behaviour difficulties, learning difficulties and reading difficulties associated with a whole host of diagnosed conditions. Besides which, if we start telling teachers that it is them that have the problems, not the children, won’t they be offended? I know my place and rather than causing apoplexy amongst my colleagues returned to my corner of the meeting. I remember a few years ago visiting a special school for children who had been excluded from mainstream schools and were designated as having social, emotional and behavioural difficulties. Over lunch with a group of teenage boys we started talking about why they were at this school and what they felt about this. One of the lads said to me, “they sent me here because the teachers at my last school said I have behaviour difficulties. But let me tell you mister, I don’t have any difficulties with my behaviour, it’s the teachers that have problems. If anyone has difficulties it’s them, I don’t have a problem with the way I am.” Maybe he had a point, I thought. Where does the problem lie? I don’t think it is helpful to blame anyone for this situation. 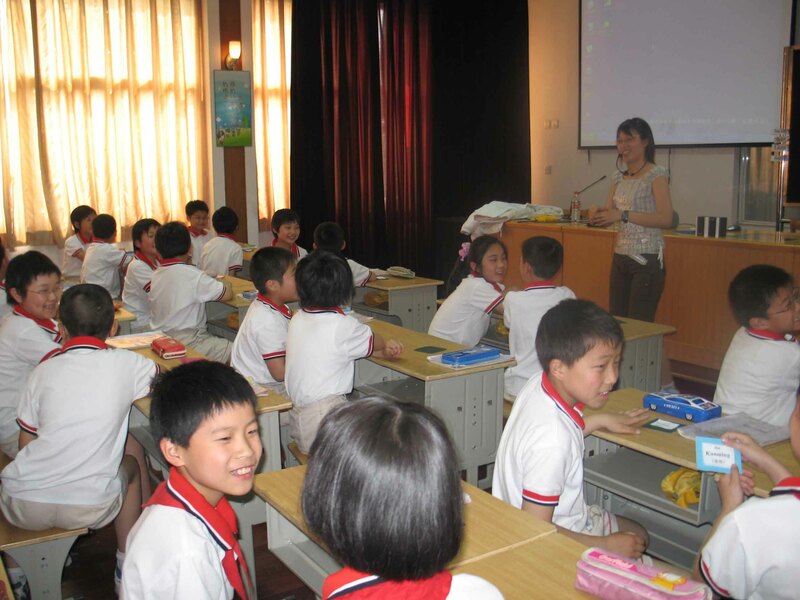 Teachers in my experience work hard and show tremendous commitment to the pupils in their classes. I also understand that if pupils are allocated a label, such as social, emotional and behavioural difficulty, or dyslexia, then this may result in the allocation of additional classroom resources that could be of benefit to both the teacher and the learner. This is the very reason why teachers and parents seek assessments that will provide them with a diagnosis. However, I am quite serious in my suggestion that often the problem is not one of learning difficulty, but rather the issue lies in a teaching difficulty. In recent years I have tried whenever possible in my work with teachers on post-graduate courses to encourage them to investigate their own approaches to teaching. In so doing they look at their classroom practice and identify those things that generally go well and others with which they may feel less comfortable. This often leads them to identify individual pupils who they find challenging and present them with difficulties in their classrooms. Sometimes these pupils will have been formally assessed and have a label of some kind. If that is the case, then fine, we can work with that in our sessions. What I do find is that those teachers who are open to investigating their own practice may do so by focusing upon this specific individual, but will usually find that the approaches they develop on the course and adopt for this one child are equally applicable and beneficial for others. The whole idea is to change what can be changed and recognise that there are some factors that will not go away and need to be accepted. 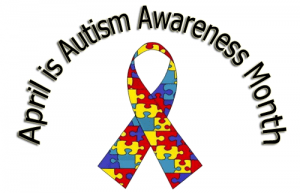 For example, if a child has Down syndrome, a perfectly valid and undisputable diagnosis based upon genetic facts, we as teachers know that we cannot “cure” this condition, neither should we try. Let’s accept the child as an individual and challenge ourselves to understand how he might be taught. If the child has difficulties with learning, surely we can examine our own practices in order to see how we can make life and learning easier for both the child and the teacher. If teachers can address their teaching difficulties, they are likely to have an impact not only on individuals, but on whole classes. The approaches that have been developed by experts in the field of dyslexia, autism spectrum disorders, social, emotional and behavioural difficulties, sensory impairment and a whole host of others, in many instances have sound foundations. I contend that these should become embedded skills that all teachers develop in order to overcome their teaching difficulties. If we can apply these skills and this understanding beyond the child with the label, then we will have provided our teachers with an essential resource with wide ranging advantages. Surely this would be more effective than simply chasing after resources for each individual that comes along with a label and who challenges our current system. We could even be quite radical and call this “inclusive teaching” and begin to understand a little more about what we mean when we use the term “inclusive education”. Perhaps it is just my own teaching difficulties that prevents me from influencing colleagues on committees – I really must stop blaming them and look at my own practice! There are no simple answers in this labelling debate. 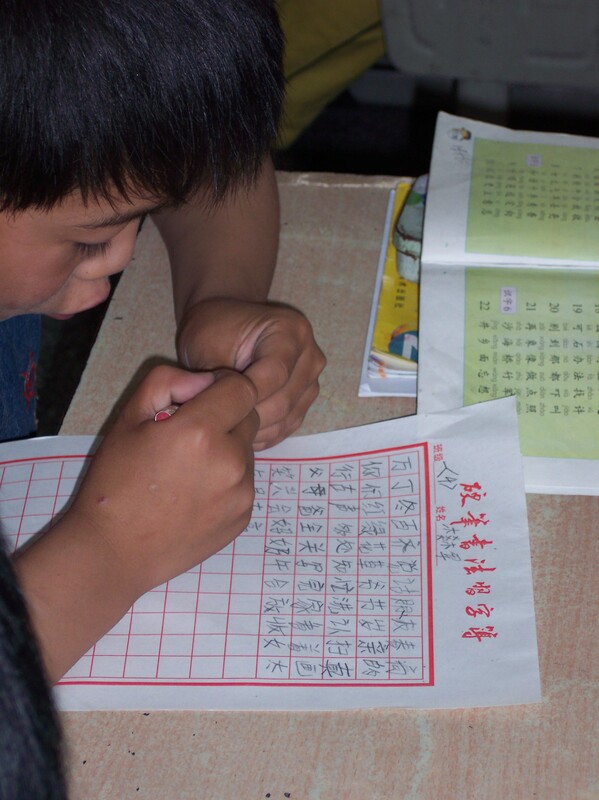 I wonder what labels may be applied to each of the children in this Chinese classroom? Or to the teacher? Or to myself behind the camera? Or to those of you who are looking at this picture now? Whenever you gather together ten teachers in a room you will find that you have at least twelve opinions! When I started this process of blogging one of my objectives was to provoke debate and encourage individuals to think about issues and post their ideas. Through this process I felt I might increase my own understanding about some of the issues that remain challenging in our education systems. Although relatively few have risen to the challenge of posting responses over the past two days, it is clear that in putting forward ideas about the use of labels I have provoked a reaction. It’s not quantity but quality that matters, and in this respect some of the thoughtful comments I have read certainly contribute to our understanding. Now, just in case you were beginning to wonder, I am not about to embark upon some kind of philosophical treatise. But early today as I was reading some of the comments posted in response to the labelling debate I was reminded of the Kierkegaard quotation. This probably happened because in reading the postings I was struck by the fact that although each respondent stated a fairly strongly held position, it was clear that everyone engaged in this debate was demonstrating great respect for individuality. “Once we apply a label we create an image of a child, and that can often have negative connotations and in particular a lowering of expectations about what a child might achieve”. The point I wanted to emphasise here was that we all wear different labels and that they all elicit different reactions to some extent from those who know us well, and possibly to a greater degree by those who hardly know us at all. For example I have a number of labels, these include man, father, grandfather, husband, teacher, professor, each of which may be viewed either positively or negatively depending on the experiences of those who are making an interpretation. When I have been introduced as a teacher to people at a social event I have often found a mixed reaction. Some have suggested that this must be an interesting and worthwhile career, whilst on a few occasions I have been regaled with tales of the evils that teachers have wrought upon children for generations! Alice, who I wrote about in the piece It’s my label and I’ll wear it if I want to, (28th Feb.) values the label “dyslexic” because it gave her the confidence to believe that the difficulties she experienced with reading and mathematics were not her fault. She also believes that it helps other people to recognise that she is not stupid or lazy but in fact has to work far harder than most in order to succeed. “It was only after his diagnosis that he started getting appropriate help. Here [in India], teachers aren’t skilled or trained to teach different learners. Many of them are also unaware that children learn differently. If a child isn’t performing, he’s labelled lazy, careless, etc. or if he has behaviour issues than his parents and family are labelled too”. Whilst I have expressed my concerns regarding the use of labelling, and found that others such as Tim from Canada and Marie from Ireland share these anxieties, we have to recognise that for some individuals who bear these labels and also in some instances their parents, the receipt of a formal diagnosis may come as a relief and bring certain advantages. Some of the bonuses attached to labels may come in the form of additional resources, or support which are welcomed by both parents and teachers (this is an issue I will come back to tomorrow). However, there is also a suggestion that at times labelling may bring reassurance to the individual to whom it is applied. I would suggest that this situation pertains largely because of faults within our education and social welfare systems. If it requires a label to be applied to a child before he gains the acceptance of teachers or others in society, then surely it is the system that needs changing not the child. If as a teacher I find myself labelling a child as lazy or begin to question his ability, then I would suggest my first course of action should be to evaluate my own teaching rather than look to apportion blame to the learner. So long as teachers are unprepared for the task of viewing each child as an individual and as long as our education systems advocate uniformity and an expectation that all children will learn at the same pace and through the same methods, we are destined to continue an over dependence on labels. However, we should not attempt to oversimplify this issue and we must listen with respect to the opinions of those who are most central to this debate. When in doubt apply a label! I wonder which labels this young boy in China feels most happy with? I have mentioned the concerns that many of us have about labelling before on this blog. My own main concern is that once we apply a label of any kind we are in danger of encouraging stereotyping. Let’s just take two examples to illustrate my point. If a child is described as having attention deficit hyperactivity disorder (ADHD) this will raise alarm bells for many teachers and other professional colleagues. Individuals so labelled are likely to be perceived as problematic, presenting with difficult behaviours and unreceptive to conventional teaching approaches. These same teachers are therefore sometimes bemused when the pupil arrives in school and is withdrawn and quiet. Stereotyping a child according to his label will often lead to such confusion. A contrasting example might be provided when we look at the label professor. To illustrate this point let me tell you a story. In 2011 I was visiting a school where a good friend of mine was the headteacher. Prior to my visit he told the pupils in a class of 10 year olds, “today my friend Richard is coming to visit us, he is a Professor at the university. Why don’t you draw a picture of what you think he might look like so that you can show him when he comes?” Now, my friend has a good sense of humour. He knew what he expected and he wasn’t disappointed. 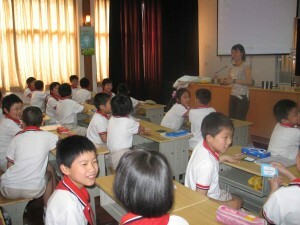 When he took me to visit this class, all the pupils had produced pictures of the visiting professor. Some of you may already have an image in your mind of what they had produced. Many had drawn predictable pictures of a wild haired, bespectacled, quite elderly man, in many instances wearing a white lab coat. I suspect they were quite disappointed that I didn’t look like a real professor (well not much anyway!). As I hope the two examples demonstrate, there is a certain danger in applying labels to people. This is an issue of which many of us working in education have been aware for a number of years, yet there is still a newsworthy quality to debates in this area. Julian suggests that many children have reading difficulties and that parents and teachers often search for a reason to explain these. In particular, he believes that middle class educated parents feel more at ease if their child with a reading difficulty has the label of dyslexia. Having a diagnosis makes it acceptable to have a difficulty. There is however, says Julian, no scientific justification for using the label and if a child has reading difficulties he needs carefully planned teaching approaches that are equally beneficial for others who have similar difficulties but no label. So, which side of this debate do you come down on? The issue is not helped by the fact that for some children and their families it is much easier to obtain resources to support their child if they can obtain a formal diagnosis. This applies to other learning needs and is not specific to dyslexia. Who can blame parents who seek these diagnoses when they believe that it will make life easier for their child? Similarly, we should not blame teachers or school managers who know that if they can have a child assessed and labelled they will be provided with additional resources to make their teachers’ lives easier. As I argued in an earlier blog, the teaching approaches that have been developed specifically to address the needs of children who have a label, whether this be dyslexia, autism spectrum disorder or any of the numerous others applied, often have some value in the pedagogical armoury of the teacher. When these techniques are carefully applied they may well benefit just as many pupils who don’t have a label. My concerns remain. Once we apply a label we create an image of a child, and that can often have negative connotations and in particular a lowering of expectations about what a child might achieve. But as I have also indicated, the application of a label may result in a pupil gaining additional support and access to well trained and dedicated professionals. This is a debate that is destined to continue well into the future. It is however one that is important to have as we strive to assist teachers to become more inclusive in their teaching. Do feel free to join the debate, your insights may well help those of us who are struggling. Now where did I leave my lab coat and wild wig?